Rustic has to be one of the biggest wedding trends of last year, I mean who didn’t go to a wedding in 2014 with a naked cake and some burlap? Now I’ve never been a fan of naked cakes for way too many reasons to list here, but I do love a buttercream or in this case, a white chocolate ganache cake. 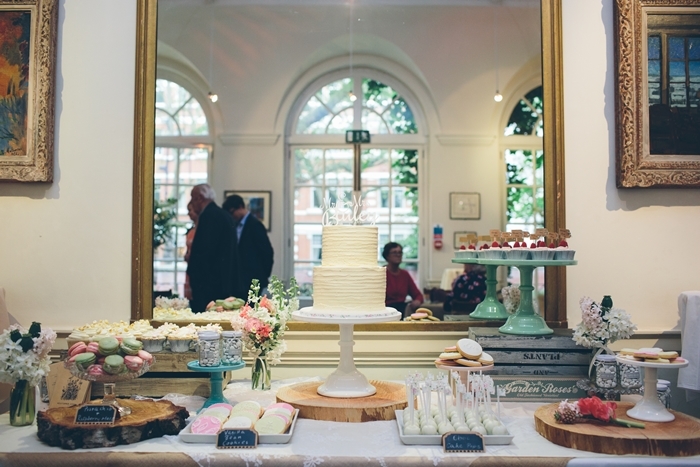 This rustic but stylish dessert table was set up at 170 Queen’s Gate, a beautiful listed Victorian town-house. The wonderful couple came straight from Australia and I had the wonderful experience of working with Amy the lead floral designer at Bo Boutique. 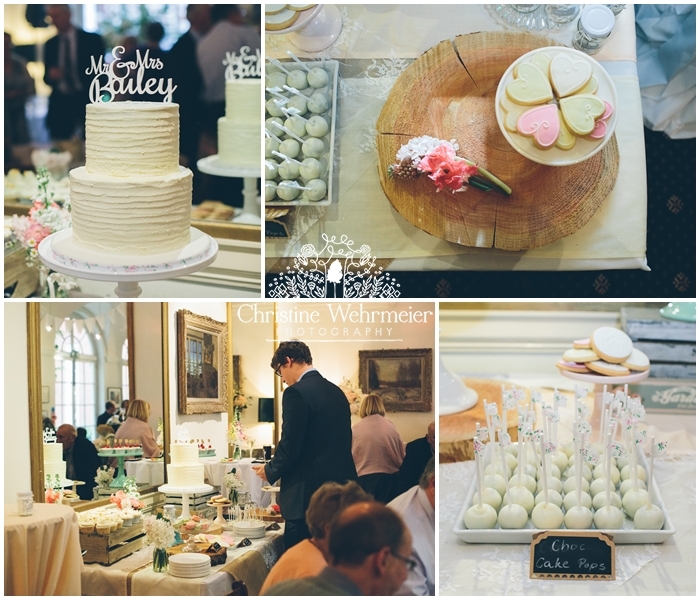 As well as the two tier white chocolate ganache cake, the couple wanted a variety of treats to spoil their guests. 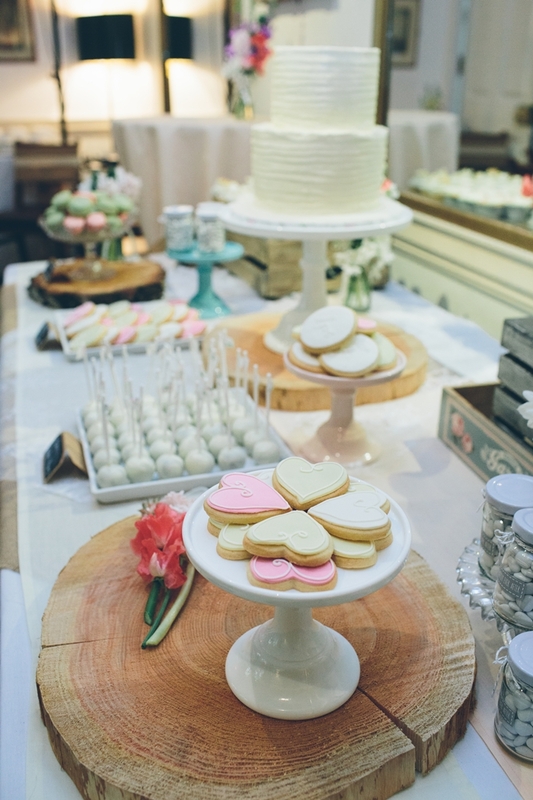 Chocolate cake pops, pistachio and rose macarons, iced vanilla biscuits, and a variety of cupcakes were polished off by everyone at the party. All of the fantastic photography came courtesy of Christine Wehrmeier, an amazing destination wedding photographer that was so stealthy I almost missed her myself.